They are speaking, of course, of the story that Ralph Natale is spinning in his book Last Don Standing, which went on sale last month. Natale discussed the book and his life in the Philadelphia underworld recently in an exclusive interview with Fox 29 crime reporter Dave Schratwieser. The piece is expected to air soon during an evening news broadcast. The book and word of the interview have already created a buzz in Philadelphia underworld and law enforcement circles. Players from both sides are said to be less than pleased and more than a little taken aback by the version of events presented by the one-time don turned star government witness. The story is vintage Natale, a combination of bravado and self-deprecation, a mix of fact and fiction. And in that sense it’s not unlike his two appearances on the witness stand after he began cooperating with the government in 1999. Natale first testified in federal court in Camden in the trial of disgraced Camden Mayor Milton Milan. But that was just a warm-up. His star turn came in the trial of Joey Merlino and six co-defendants which took up nearly five months through the spring and summer of 2001. Natale was on the stand for 14 days. His performance got mixed reviews. His book has generated the same reaction. Ralph spins a good story and he clearly enjoys being center stage. But while he likes to portray himself as Don Corleone, the reality is he was more like Uncle Junior. Here’s the ironic bottom line in the Ralph Natale story. 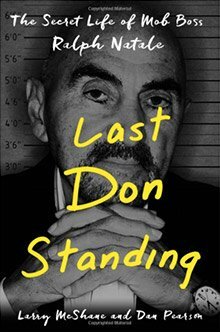 Ralph Natale's new book, Last Don Standing, has already created a buzz in Philadelphia underworld and law enforcement circles. The book – and a hoped-for movie – is his final chance at celebrity. He was played by Merlino and the guys around Skinny Joey. They let Ralph parade around as the boss and often fed him bogus information about what they were doing, about the scams, the flimflams and, more important, about the hits and misses that left a half dozen wiseguys dead or wounded. . When Natale was arrested on drug dealing charges, he used that disinformation, which at the time he might have thought was true, to get out from under the potential life sentence he was facing as a three-time offender and convicted narcotics trafficker. The feds bought what Ralph was selling even though it didn’t hold up in court. Now he’s asking the reading public to do the same. Was Ralph a tough guy? In his early years, probably. Was he a murderer? Without question. Was he an effective witness? Not so much. Merlino and his co-defendants beat every murder and attempted murder charge Natale testified about in that 2001 racketeering case. Joey’s lawyer, ace criminal defense attorney Edwin Jacobs Jr., would tout the result as a victory. And in a broad sense – considering that Merlino was looking at a possible life sentence – it was. Joey got 14 years instead. Ralph, as a result of his plea deal and cooperation, did less time than Merlino. Today, when not making media appearances to tout his book, he’s stashed away in the Witness Security Program. He turned 82 a few weeks ago. His health and eyesight are failing. The book – and a hoped-for movie – is his final chance at celebrity, his way to have the last word in a story that often was more soap opera than Mafia saga. Ralph used to refer to Merlino, whom he had met and befriended in prison in the early 1990s, as a fine young man. In an interview with Schratwieser back in those days, he boldly said he would be happy to “share a foxhole” with Merlino and the guys around him. But in the book and in the interview with Fox 29, Natale describes Merlino and the others as “punks,” the same description he used while testifying against them in federal court in Philadelphia. The consensus from those who were on the streets with Natale in the late 1990s is that he always talked a better game than he played. The book doesn’t dwell much on his relationship with the Merlino crew. Written by veteran New York Daily News reporter Larry McShane and Dan Pearson, an entertainment industry producer, it’s more a personal account of Natale’s life in the mob, heavy on stories about guys who are no longer around to dispute or challenge what he has to say. 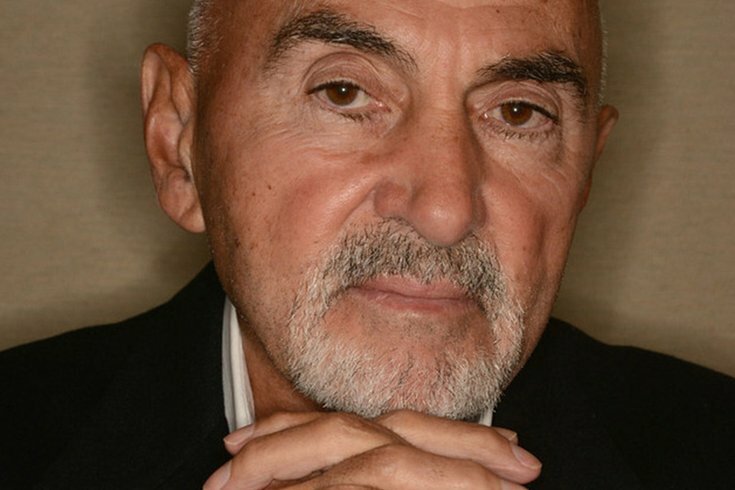 Natale is described in promotional releases for The Last Don Standing as a smart, savvy and articulate boss who “brought the region’s Mafia back to prominence in the 1990s.” He apparently portrays himself the same way in his Fox 29 interview, commenting on three unsolved South Philadelphia gangland murders, speculating on who he thinks should be running the organization today and offering a less than flattering description of his one-time young partners (Merlino and company) in the Philadelphia crime family. The consensus from those who were on the streets with Natale in the late 1990s is that he always talked a better game than he played. In that sense, it appears little has changed. More than a decade ago from the witness stand, Natale denounced his life of crime and bemoaned what he said it had done to his wife and family. “I spit on myself” was his emotionally charged comment, a public plea for forgiveness, an acknowledgement of how wrong he had been. Now he’s apparently saving his saliva while promoting himself as one of the last true men of honor. Ralph tells a great story. But it’s sometimes built around alternative facts. Under oath on the witness stand in 2001 he told a jury that he had declined mob boss Angelo Bruno’s offer to be formally initiated into the Mafia back in the 1970s. He said he loved and respected Bruno but didn’t trust the men around him. He said he didn’t get along with many of Bruno’s crime family members and figured they’d end up killing him or he would have to kill them. Ralph liked to present the image that he was his own man. But not a part of Natale’s life rewrite. He now claims that he became a “made” member of the mob while working for Angelo Bruno back in the 1970s. Bruno and New York mob boss Carlo Gambino did the honors, he says. It wasn’t enough to be formally initiated by his own my boss, he was made by two Mafia dons. He demonstrated that from the witness stand in the 2001 trial when he described himself as a hitman and enforcer for Bruno. That might have been true. But Ralph couldn’t stop there. He called himself Bruno’s attack dog and said the boss would unleash him to take care of business. A decade earlier Salvatore “Sammy the Bull” Gravano, testifying in the trial of his mob boss John Gotti, said much the same thing about his relationship with his boss. “When he barked, I bit,” said Gravano, who admitted to his own involvement in 20 murders, most carried out on Gotti’s orders. Ralph didn’t have nearly as many notches on his gun, but he apparently liked Sammy’s attack dog reference enough to make it his own. Plagiarism was not one of the predicate acts listed in the case against him. While he’s telling a different story now, from the witness stand Natale boasted that he had, in essence, made himself after coming out of prison and aligning with Merlino in a war against then mob boss John Stanfa in 1994. Is that possible, he was asked? “If you have the cojones,” he replied. Ralph always had big ones. It got him through life. Now he’s hoping it will bring him another payday.